I’m thrilled to announce that my short story, “Burning Origami,” has been accepted for publication in one of 5923 Quarterly’s debut issues. 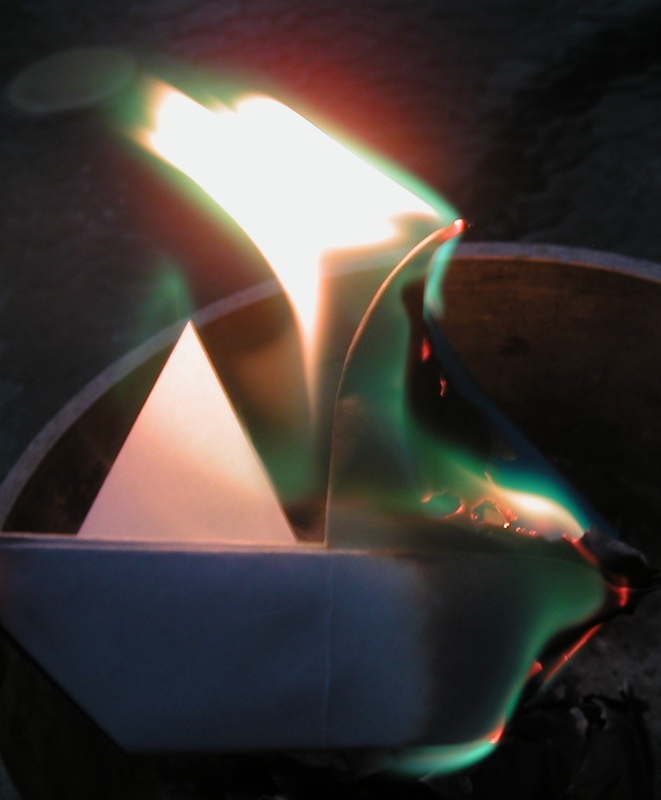 If you enjoyed “Screams of Autumn,” then “Burning Origami” will be right up your alley. I’ll keep you posted as to when it’ll be available. 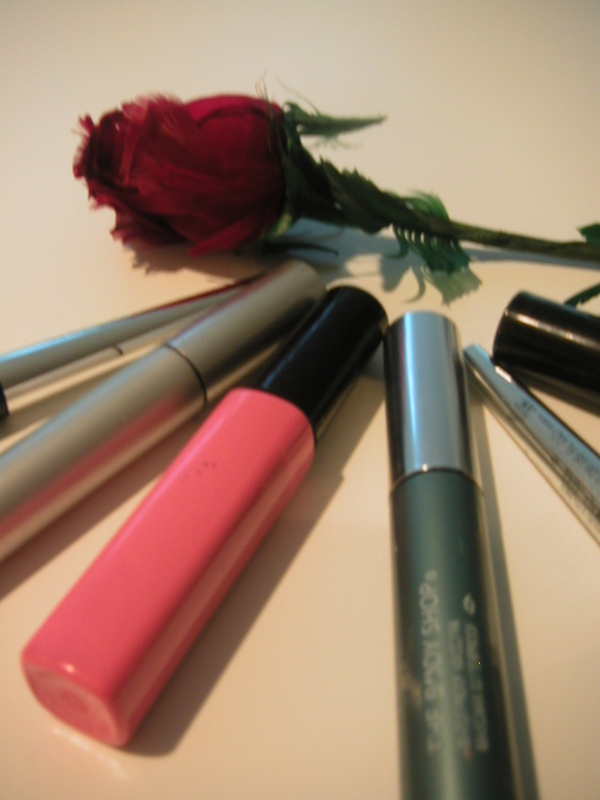 My short story, “Waterproof”—a tale of mascara, macabre and mischief at a “funeral factory”—has just been accepted by The Battered Suitcase for one of its upcoming issues. 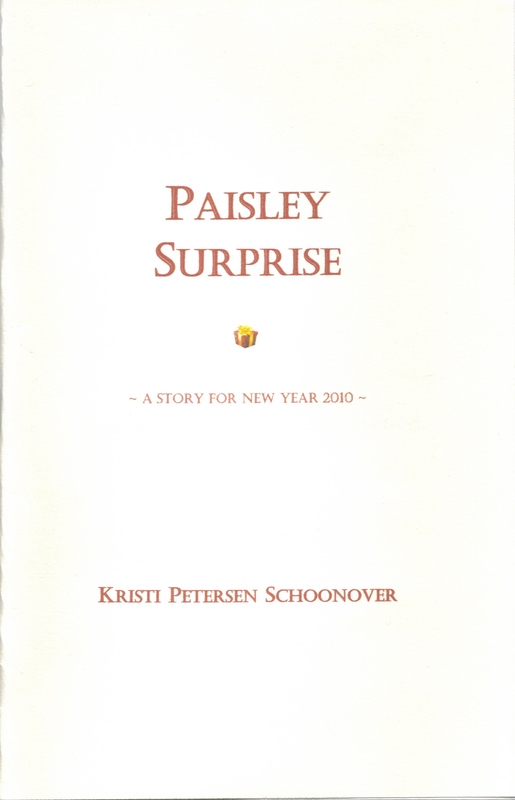 I’ll keep you posted, but until then, you can check out The Battered Suitcase at http://www.vagabondagepress.com/. In 1984, eight people burned to death when a dark ride caught fire at Six Flags Great Adventure in New Jersey. I was 13 and watched the unfolding drama on the six o’clock news; I recall overhead footage—probably filmed from a helicopter—of the building, flames bursting from the roof, thick billows of smoke obscuring scattering patrons below. I remember thinking, people are dying in there. I remember thinking, something like this can’t be happening at an amusement park. They’re supposed to be fun. Which wasn’t entirely true. 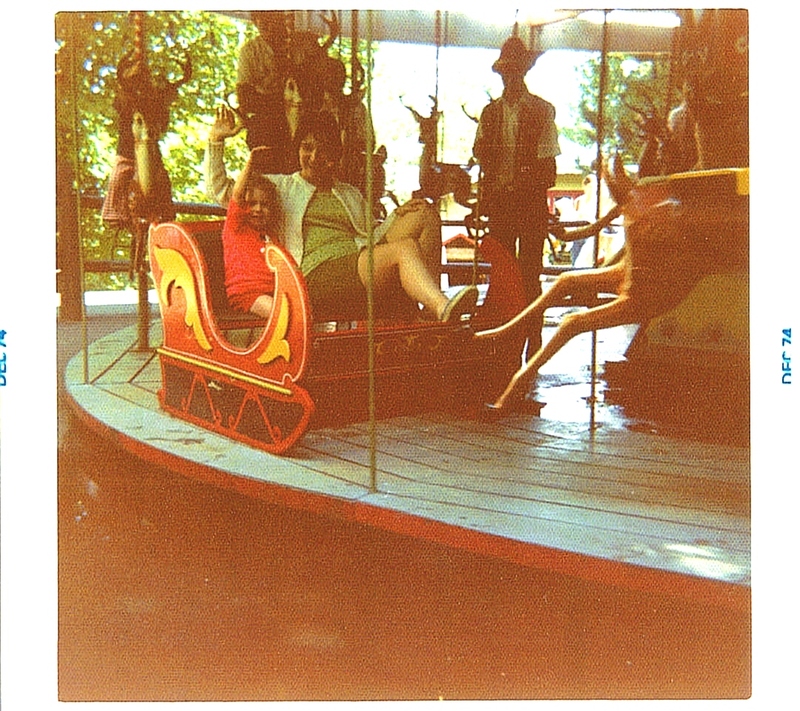 My pre-school summers had been punctuated with trips to Storytown USA (ironically, now Six Flags Great Escape), Catskill Game Farm, and Santa’s Workshop—all of which had rides of some sort. But, I accepted his answer and tried to forget about it. 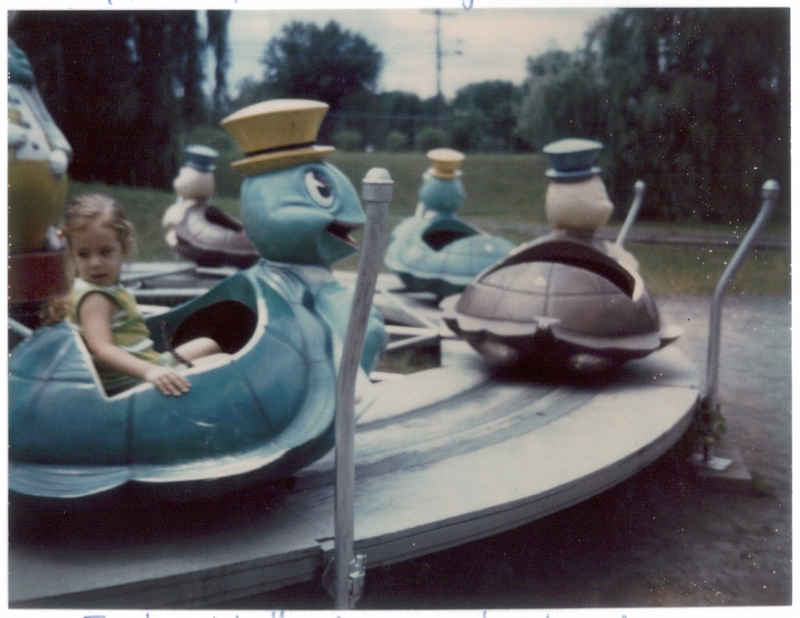 Me on my very first ride, July 21, 1974, in Storytown, USA, Lake George, New York. 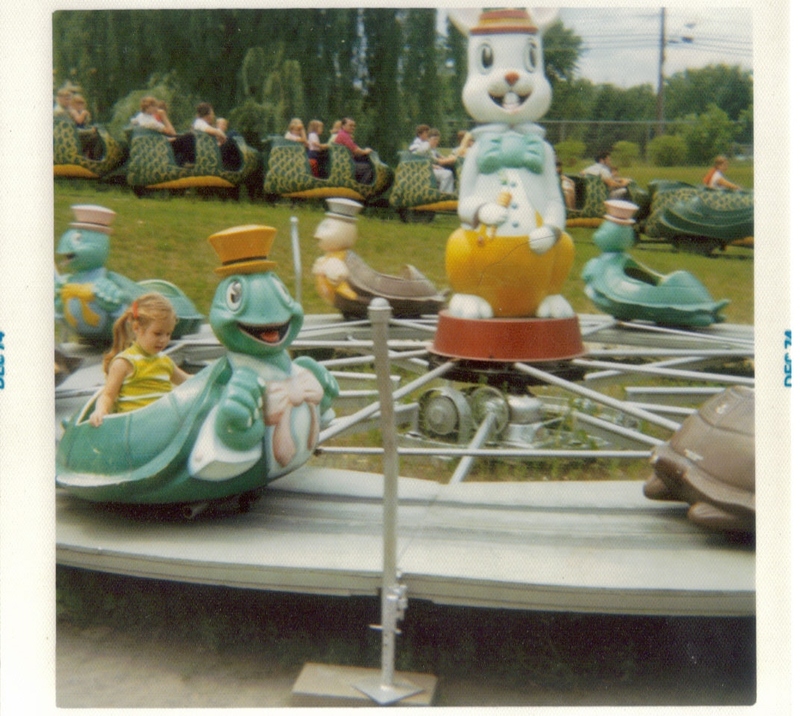 I wish I knew what this ride was called, even though obviously it must have something to do with the story of the Tortoise and the Hare. I know that the ride in the background was called Danny the Dragon. Here is another shot of me; apparently I’m either disturbed by something I heard behind me or I’m fascinated by how the thing works. Me and my mother at Santa’s Workshop, 1974. 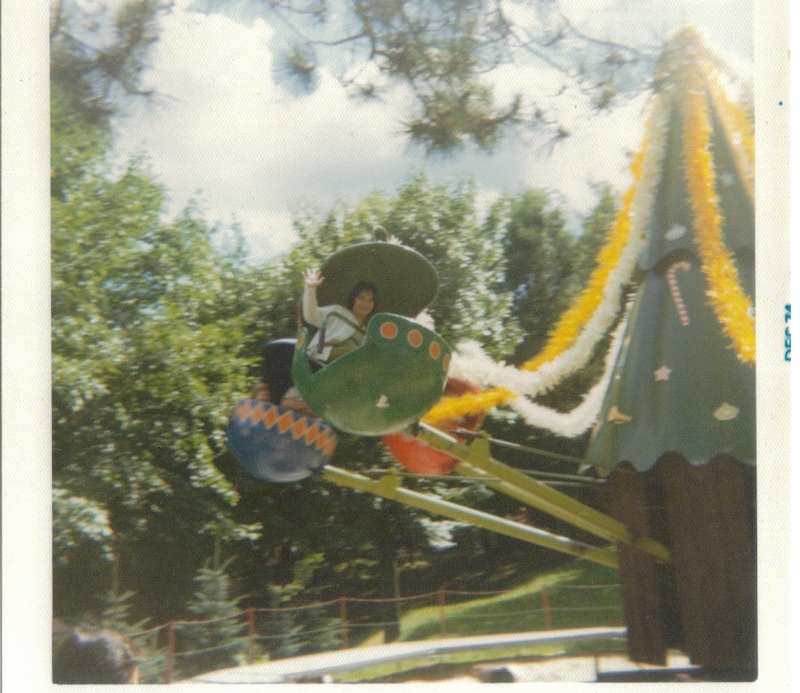 Here’s some type of helicopter ride we were in at Santa’s Workshop, 1974. You can only see my mother here, and she looks like she’s having fun. The picture I wanted to post—but couldn’t because the photo is so badly discolored you can’t see it well—shows me clinging to her, screaming. 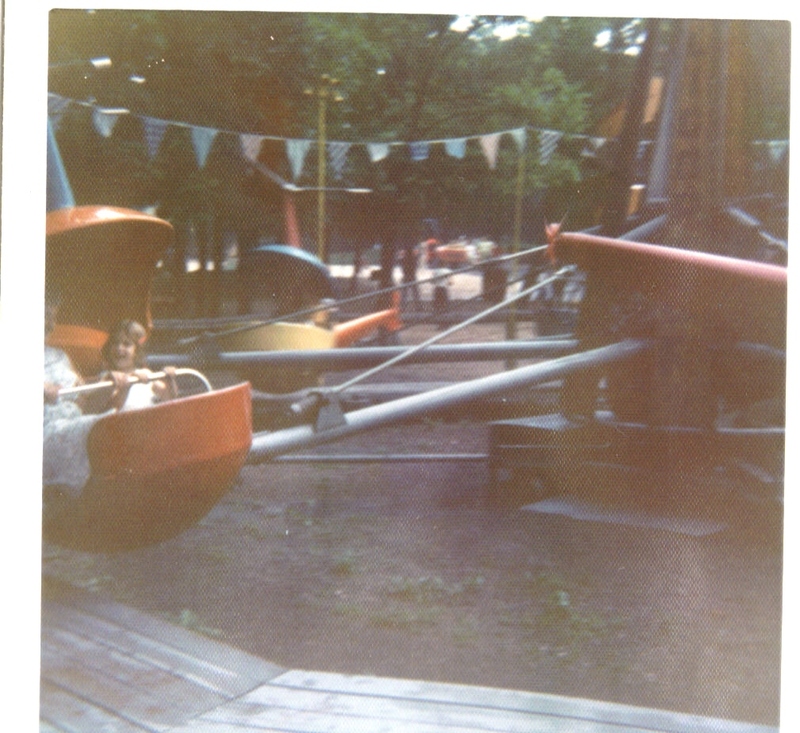 This is me in a similar ride at Catskill Game Farm, but taken a year later, in 1975. Apparently a year's maturity made a difference (I would have been four, here). When the image of that burning structure didn’t go away, however, I became obsessed: carnivals and little amusement parks were suddenly terrible places where danger lurked. Several years later, this was reinforced on my very first trip to a non-Disney amusement park. 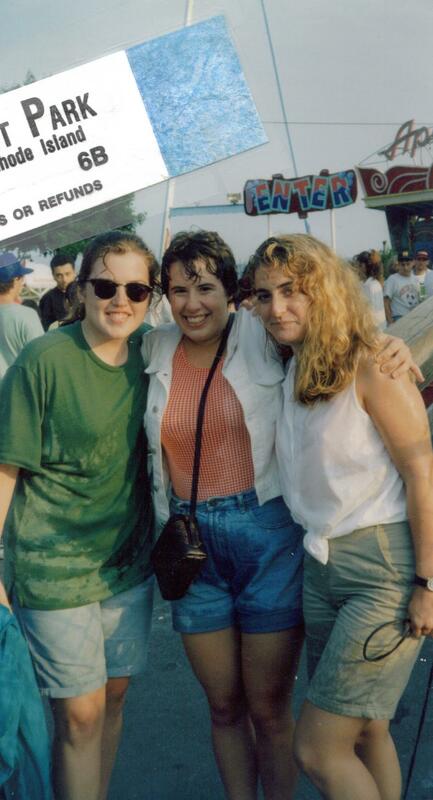 It was the cusp of summer in 1992, and my fellow URI Good 5¢ Cigar staff members were going to Rocky Point. Although Dad’s words and that image still haunted me, I let my friends con me into it—after all, perhaps he’d been exaggerating. Turned out he hadn’t been. There were cracks in the sidewalks and pavement. One of the cars on The Wildcat roller coaster had a broken wheel. The Enterprise was rusting. The food booths were dilapidated. Night’s onset revealed lots of burnt-out neon. I was horrified—did the people here not see all of this around them? Was not one of them afraid to get on The Freefall, which sounded when it dropped like it was going to collapse of metal fatigue? What was the appeal in this? 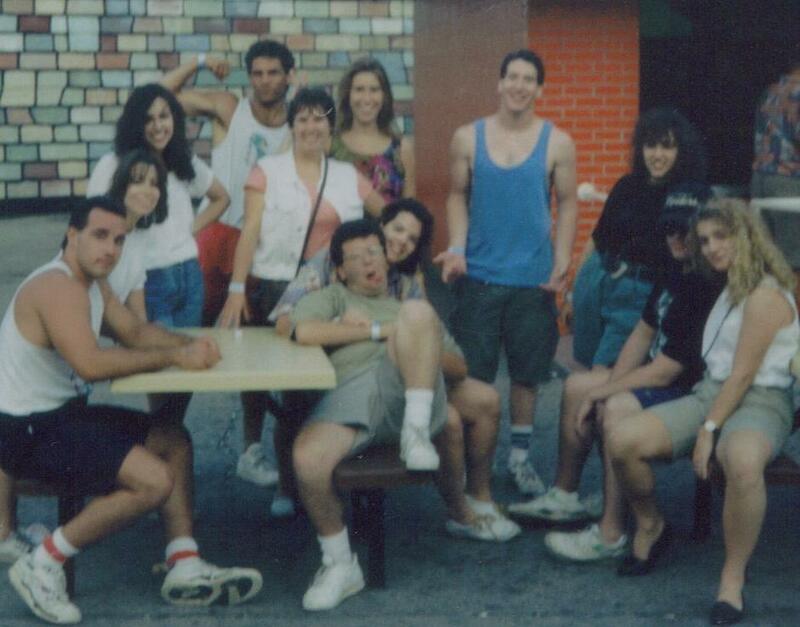 The staff of The Good 5¢ Cigar at Rocky Point in the park’s waning years. I have wonderful memories of that day, and it’s obvious we were having a good time. Left to right, Barbara, me, and Heather Tierney. We got soaked on the flume. I think that was the first flume ride I’d ever been on. There was, however, something darkly attractive about the place. After that day—despite a terrifying spin on the Enterprise—I suddenly couldn’t resist even the smallest carnival or amusement park. I made these places a way of life every summer—even if I still didn’t understand why. 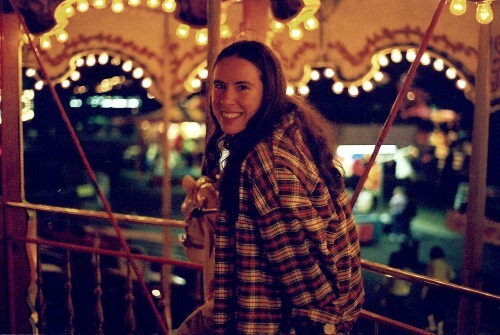 Me on the carousel at the Danbury City Fair, 2001. 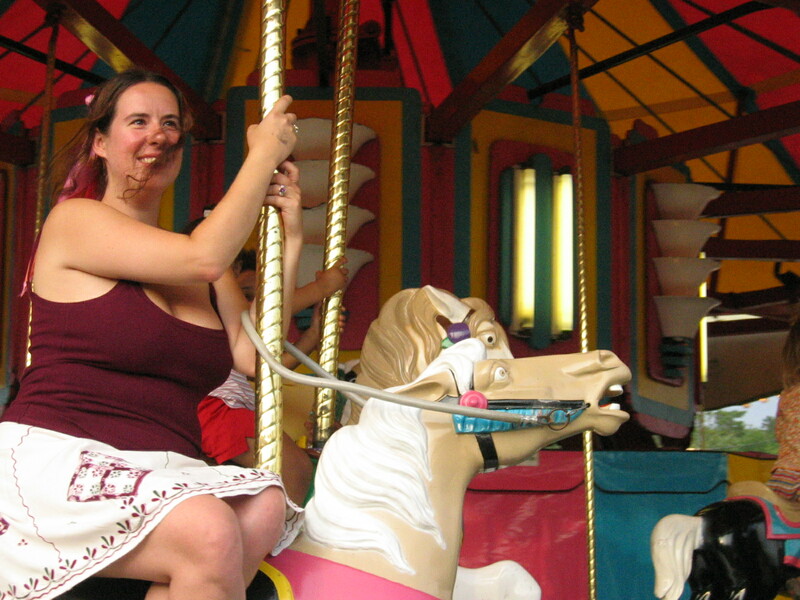 Me on the carousel at the Bridgwater Fair, 2005. 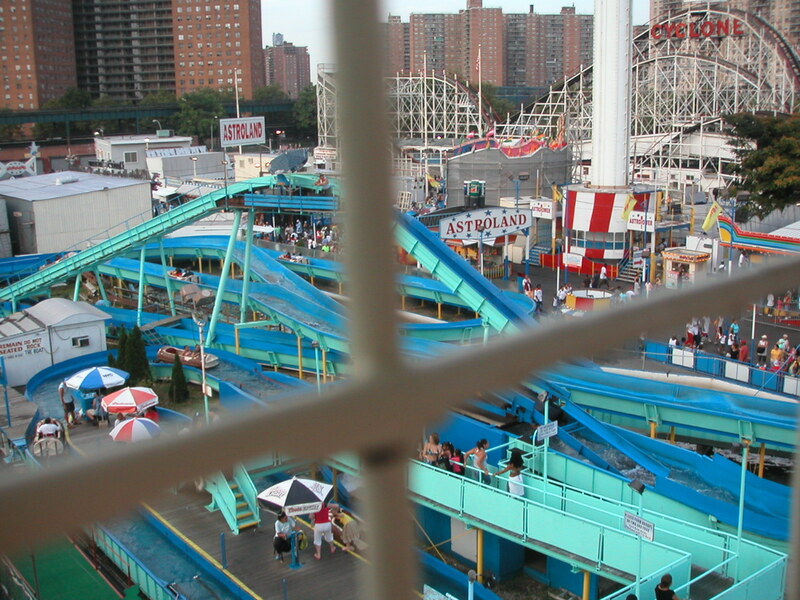 A view from Dino's Wonder Wheel, Coney Island, 2006. It was my second time on this, and we had to make sure we got a stationery car. 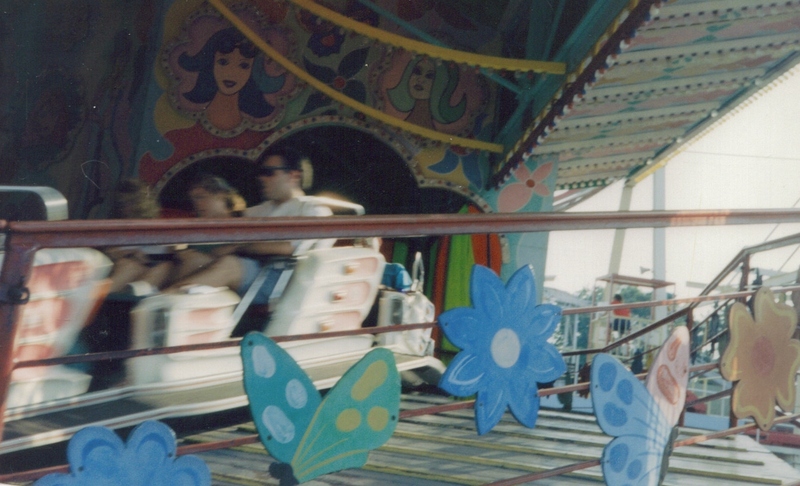 The first time I rode it, back in 1997, we got a sliding car and I was scared to death. 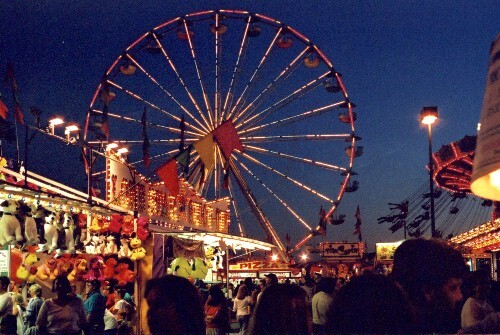 Recently, I made my annual visit to the Danbury Carnival. It’s mostly the same rides every year, but part of what keeps it fresh is the chipping paint, the malfunctioning special effects in the haunted house, the cloying cotton candy, the cheesy one-dollar prizes that cost me ten to win. There’s something almost natural about it. I recall, even though I was probably anywhere between the ages of two and six, Storytown USA. We were frequent visitors, and I remember Dad pulling the Dodge Dart into the parking lot and my little heart pounding, because I couldn’t wait to get inside. All these years I’ve thought of the place fondly as a wonderland populated with merry statues of Jack and the Beanstalk and Pete’s Pumpkin. But the images posted at http://theimaginaryworld.com/st.html illustrate these statues were actually quite frightening. The Three Men in a Tub—which I remember not being able to look away from when I was little—have such exaggerated features they look like mutants. Little Miss Muffet’s kewpie-doll face is painted like a whore’s, and Humpty Dumpty’s shoddy clothing and Rosacea are clearly indicative of too much booze. The artist who constructed these statues chose to make these characters wear their decay and weaknesses on their outsides. While they were grotesque, they were also human. Ugly as they were, I was comfortable with them. Because, even at that age, I related to them. 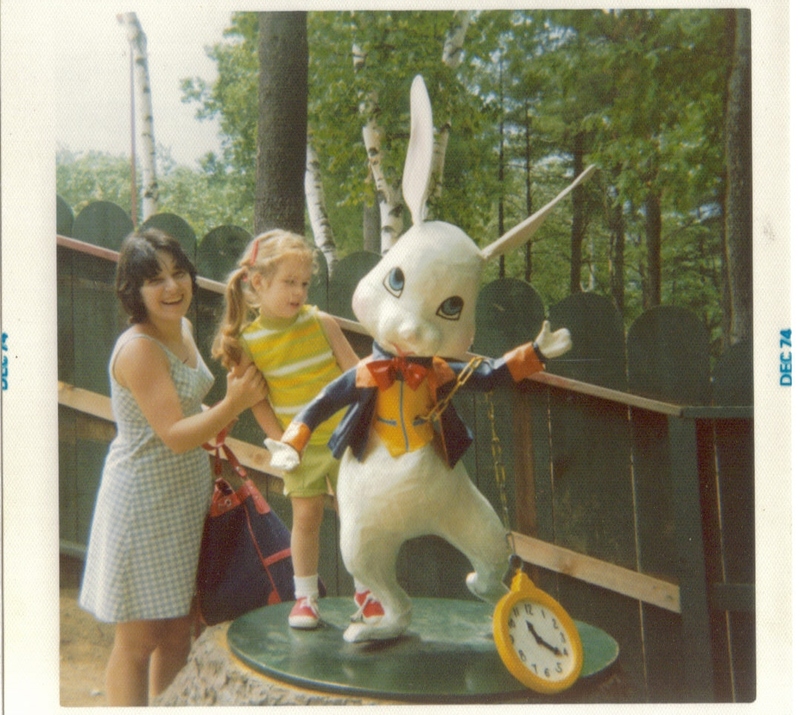 Me and the White Rabbit at Storytown, USA, Lake George, July 1974. He looks like he’s unhappy and not at all approachable (“I’m late, therefore, I’m in a nasty mood and don’t bug me”), so I think it’s a perfect example of my point. But what’s funny about this is that, to this day, I have an obsession with The White Rabbit. The woman in the gingham dress next to me is Mom. I’ve concluded that maybe the reason we find carnivals and small amusement parks appealing is they mirror in steel in neon what’s in ourselves. We glitter outside, but decay inside. We are solid and strong outside, and weak and damaged or broken inside. We go through life sometimes pretending that we’re happy, but underneath, we’re not. It’s all an illusion. The occasional spot of rust on the Ferris wheel, shattered bulb on the Music Express, or contorted face on The House of Horrors’ façade reminds us of that. And that is why we can’t stay away. It took me a long time to track down which tragedy this was, as for some time I thought it had occurred at the what-was-then Riverside Park in Agawam, Mass. I found my answer, though, at a site called RideAccidents.com. The full text of Ride Accident’s blurb on this is as follows, and since I’m not sure if it’s RA’s original content or if they just compile news reports from other sources, the proper citation follows. Friday, May 11, 1984 – Eight teenagers burned to death in the Haunted Castle attraction at Six Flags Great Adventure theme park in Jackson Township, New Jersey. A light bulb had burned out in one of the rooms of the attraction, and a 14-year-old boy lit a cigarette lighter to find his way through the darkness. The flame ignited some foam rubber padding which was used to protect people from bumping into a wall. A fire resulted, which quickly spread throughout the 17-trailer structure with the help of extremely flammable building materials. The fire eventually engulfed and totally destroyed the attraction. Fourteen people — four of them employees — managed to escape after the fire had started. Seven people were treated for smoke inhalation at an area hospital. Firefighters from 11 towns were called to the scene. The families of those who were killed later sued Great Adventure, Inc., and its parent company, Six Flags Corp., charging them with manslaughter and aggravated manslaughter. The prosecution held that the park disregarded safety precautions, and that the disaster occurred due to the combustibility of the building, lack of sufficient emergency exits, and the lack of fire alarms and sprinkler systems. The defense cited a 1983 report by fire inspectors, which concluded that the attraction was safe for operation. Great Adventure, Inc. and Six Flags Corporation faced maximum combined fines of $1.2 million. It was reported that they spent $6 million for their defense. The companies were acquitted on all charges by a Superior Court jury on July 20, 1985, in Tom’s River, New Jersey. RideAccidents.com, “US Amusement Ride Fatalities (1972-1997), Friday, May 11, 1984,” http://www.rideaccidents.com/rides.html. Storytown, USA, was a Mother Goose-themed park in Lake George, NY. If you remember it, there’s a wonderful photo essay here: http://theimaginaryworld.com/st.html. It’s scary to note that when I went through my parents’ old photo albums, I found several of these postcards this person posted. Rocky Point Park was in Warwick Neck, RI, and was much beloved by many a Rhode Islander. It closed permanently in 1996. http://www.joenisil.com/rockypoint/index.htm is one of the most comprehensive Rocky Point sites I’ve seen to date, with loads of photos and postcards going all the way back to the 1900s, articles, links to other sites about the park, recipes for its famous clam cakes—and believe it or not, the Rocky Point theme song you can listen to right on your computer. If you’re serious about Rocky Point Park, you can also order the feature-length, award-winning documentary YOU MUST BE THIS TALL: The Story of Rocky Point Park at http://www.rockypointmovie.com/index.html. I own this DVD and re-watch it every summer. It’s worth every dime. A couple of days after I published this, I discovered the wonderful Storytown USA blog I’d found (http://stusa.wordpress.com/) had a Facebook page. I headed over there and joined and then posted the photo of my mysterious first ride, hoping a fan of the page would be able to identify the attraction, since I still couldn’t find a reference to it anywhere.